We have therefore put together a comprehensive guide to the 25 best interior design blogs and websites to help you find the look you want. The website is easy to navigate and well laid out. You can browse by room, project, decor style, and much more to help you quickly find an article on your topic of interest. You can view renovation diaries and take tours of houses submitted by people from all over the world. 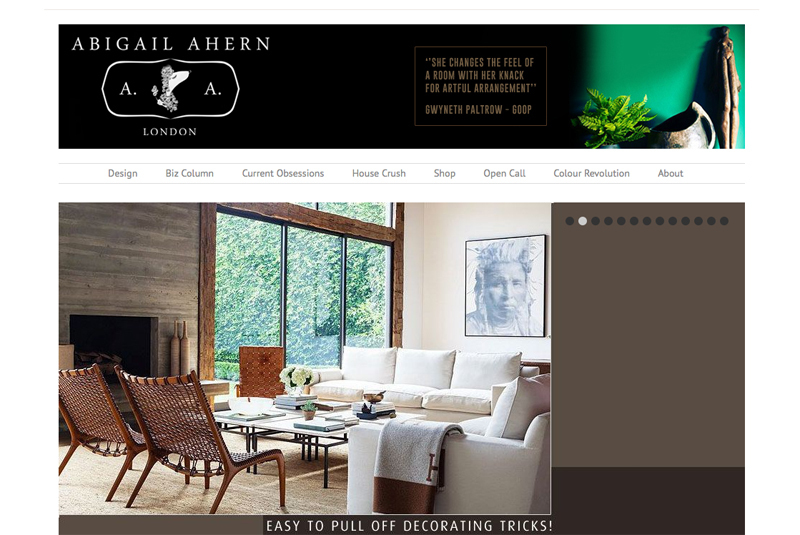 Launched in 2009, Abigail Ahern’s blog focuses on glamour, eclecticism and wit whilst also including practical ‘how-to’ guides. Abigail also offers a wide range of home decor products through the site as well as a section where she introduces other niche design specialists and creatives. The website is bold and striking, with lots of deep and strong colours which is very typical of her design ideas. I gravitate towards inky, swampy bottom of the lake type hues, which we all know by now! She encourages people to do things a little differently and this is certainly reflected in her work. So if you are looking for something a bit more dramatic in your home decor it is definitely worth taking a look. Carol King is an interior designer based in the London area and her website ‘Dear Designer’s Blog’ was started up in 2009. She looks to share anything which excites her and even admits to featuring a celebrity’s house from time to time. As well as design ideas the site also has some of her personal projects and information on products she likes. The site is kept in a simple blog format and also includes a portfolio section, the images used are large, clear and of high quality. There is a wide range of styles covered with information where you can purchase the products featured as well as pricing. This blog is written by US based journalist and interior styling consultant Kate Watson-Smyth who has also written interior design articles for the Financial Times, The Independent and The Daily Mail. As well as providing ideas for you to try she also writes about the work she has been doing to her own home, including many photos of the transformation it has undergone. The blog started as a place where she could add images and inspiration of the designs she liked, but feedback from readers requesting help with styling tips and sourcing products meant that the site began to evolve to tend to these needs. Kate now also offers a personalised interior design service where customers can send her Pinterest boards containing photos of interiors they like and she will help you source the products and get a similar look in your home. I soon found I was being asked to style houses and source interiors for friends, and friends of friends – and, increasingly, for clients. Every day I am asked for advice on where to buy a lamp, a rug, a sofa. And I’ll always have a suggestion. Or seven. Mad about the House also has a shop section where you can find many of the products featured in the articles. Holly Becker started Decor8 in 2006 as an interior design studio and in 2008 her blog of the same name was created. The blog features articles on a wide range of interior design ideas and products as well as including a section dedicated to her ‘Decorate” series of books. The site is simple, clear and easy to navigate with plenty of images detailing the ideas and designs she likes. 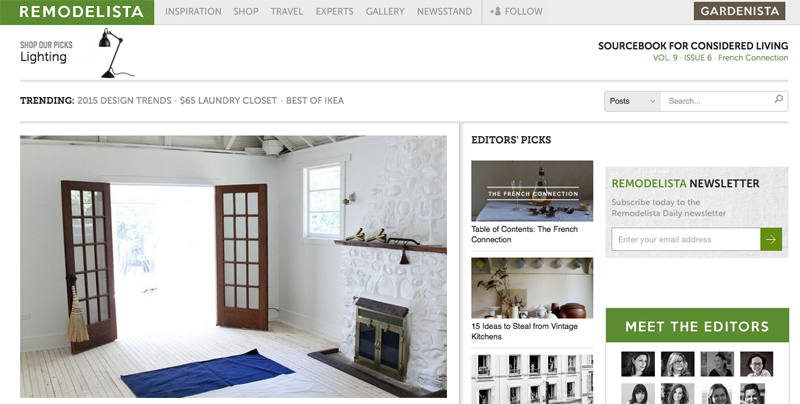 Remodelista is a magazine style website with articles posted almost every few hours from its many editors based across a number of countries. It has an area focused on providing you with inspiration for interior design ideas for you home as well as a shopping area where you can view and purchase a lot of products. They have experts covering a wide range of subjects from architecture to furniture design. The team of content writers describe themselves as a group of friends who all share the same passion for interiors. Their aim is to provide design ideas and know how for those who lack the time or inclination to go it alone. We favor classic and livable over trendy and transient; streamlined interiors over cluttered environments. The site also runs in tandem with ‘Gardenista’ which provides the same experience but aimed towards garden design. 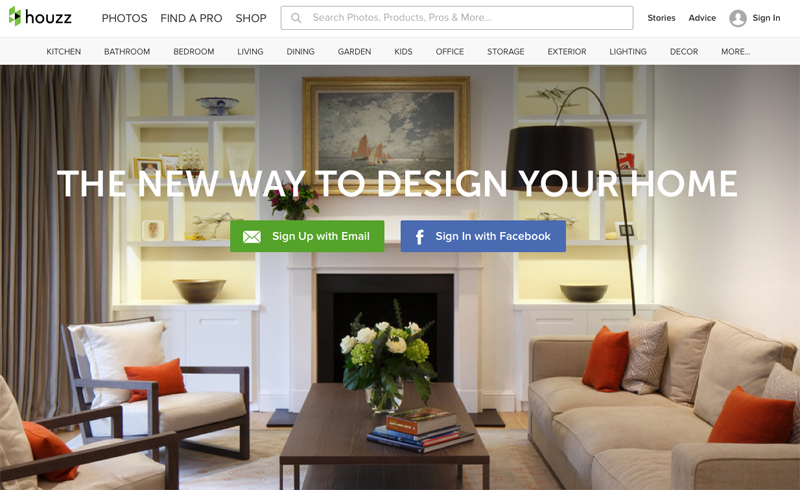 Houzz is an interact website which requires you to sign up to use its full potential. You can browse through over 5 million different photos and over 3 million products, saving those which you wish to quickly view again. The site can be browsed by room type as well as specific sections for outdoors, lighting and decor. The website was started by Adi and Alon after they decided there had to be a better way to view design ideas than just wading through a stack of magazines. Along with the vast number of images the site also features daily articles with lots of top ten lists, on topics from bathroom design to paint colours. The site also includes an active community forum where people can go for help and ideas on their latest projects. Included is the ability to create ‘polls’ to get votes from other users on an interior design decision and a place to put up before and after photos to show off the transformation your home has undergone. Surface view is dedicated solely to interior wall designs, from murals and wallpapers to prints and canvases. If you’re looking for something striking and altogether different from a matte painted wall, then this is the place to go. The arrange of designs is staggering, with access to paintings from the national gallery and photos from professional photographers. They offer a bespoke service so that you can get any image or design in the size required for your home. We’re constantly on the lookout for the beautiful, the unusual, the wonderful and the unique. The site was started by Michael Ayerst and also includes a blog section where they review many of the products and collections on offer. 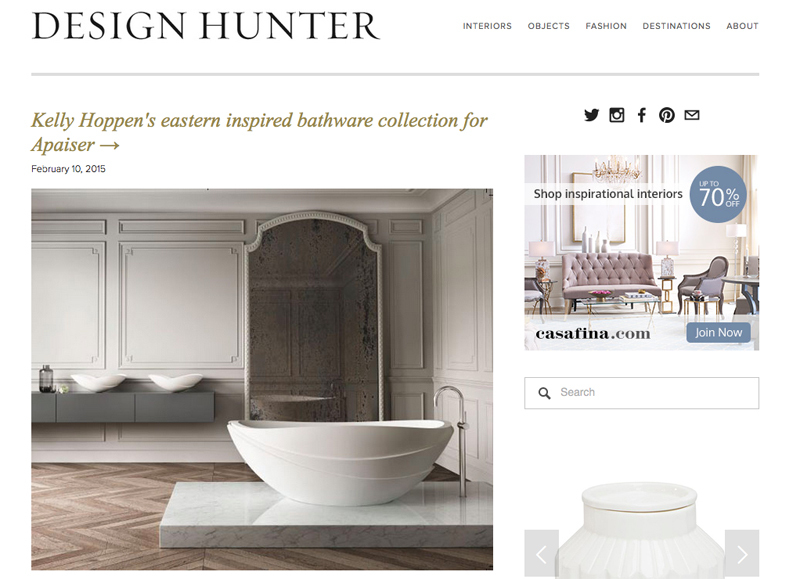 Design Hunter was created by Helen Powell in 2009 and is her online blog where she shares interior design ideas and inspirations. The site is edited by Helen but also contributed to by other writers with the aim of helping others create an inviting, restful and relaxing home. The site focuses on interiors and the objects within them, but also has sections on fashion and travel as well. The majority of articles are short but well supported with plenty of photos with a focus on new lines from well and lesser know shops and designers. 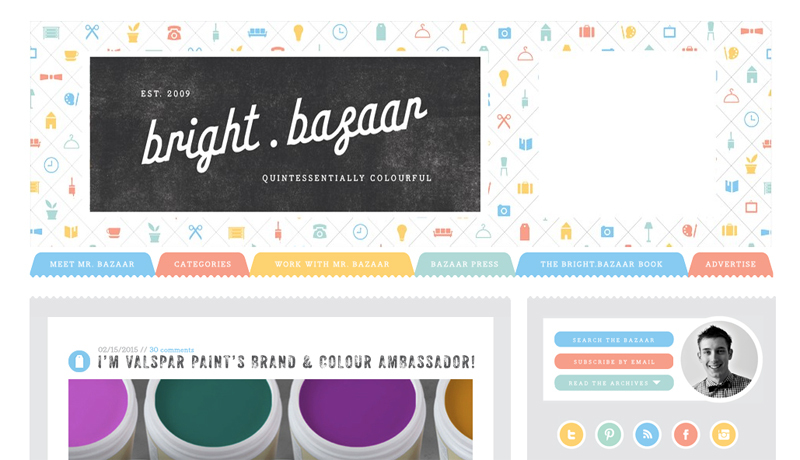 Bright Bazaar is certainly a bright and colourful website, and this strikes you the moment the page display on your screen. a young chap from the UK who is unashamedly hooked on hue! The website is where he documents his love for all things bright and colourful with of course a focus on interior design. His blog also has a number of other categories, from cocktails to travel and holidays, but with the focus always being around colour. From reading his articles you really get a sense of his passion for colour and for wanting to help people step outside the norm and use the colours they really like, not just those most commonly used. Stacey Sheppard started her blog after writing for a number of interior design based publications which triggered her interest the world of design and architecture. 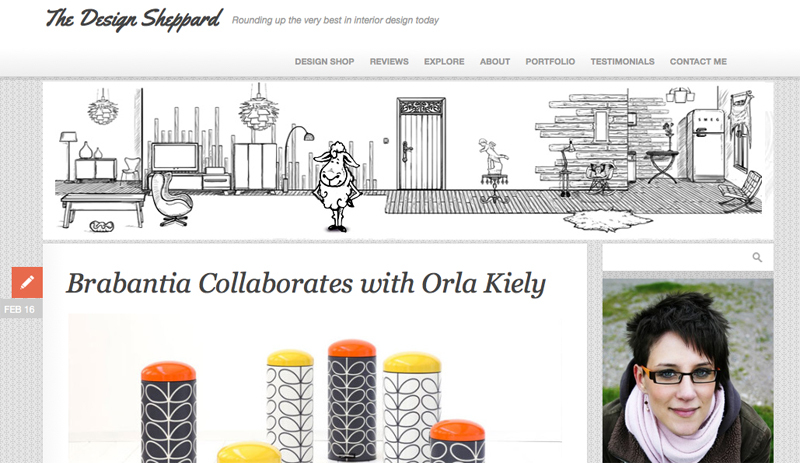 The Design Sheppard site is where she and her colleague Ruth Adams ’round up’ the products, concepts and designs they come across. Design Sponge is one of the longest running interior design blogs, it was started in 2004 and boasts over 1 million visitors a day. The site was founded by Grace Bonnet who is based in Brooklyn, New York and is also contributed to by five other writers. As well as interior design the site also covers topics on DIY, food and drink, travel and life and business. The website also has a section entitled ‘101 guides’, containing detailed information on a range of topics with plenty of before and after photos. 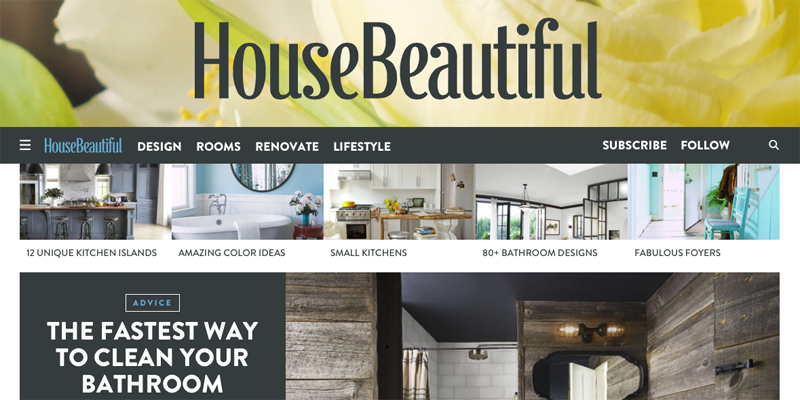 House Beautiful is an American online magazine focusing on all things to do with your home. The site focuses on 3 main categories; design inspiration, room ideas and renovating, there is also a section on lifestyle living as well. The website uses a lot of large high quality images, many of which can also be viewed through their Pinterest account. As well as images the site also has plenty of videos to watch, from DIY guides to celebrity styles. For full access to all content you do have to pay a small subscription, at the time of writing they are offering a 6 month pass for just $6. This also gives you access to articles and interactive elements you do not get through the print version of their magazine. Design Milk is an online magazine dedicated to modern design in art, architecture, interiors, furniture and decor. Founded by Jaime Derringer, the site is also contributed to by 7 other writers and has a number of weekly and monthly columns. The site can easily be navigated either by category or by one of the specific columns, with a wide range of articles from product reviews to entire house walk throughs. They also review tech products for the home, including posts on home security. 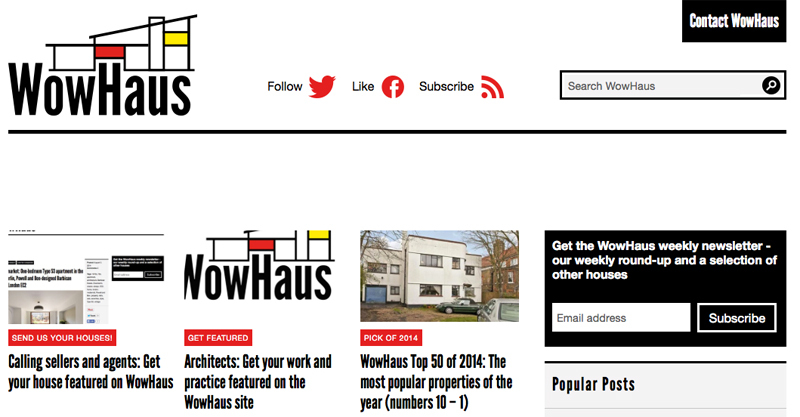 WowHaus is a relatively new site and is focused on interesting properties from around the world. Although not specifically interior design orientated, the homes they feature are often great for getting design ideas of your own. They offer a weekly newsletter with a round up of their articles that week as well as a selection of other houses to view. Many of the houses featured have a contemporary and modern style and design. 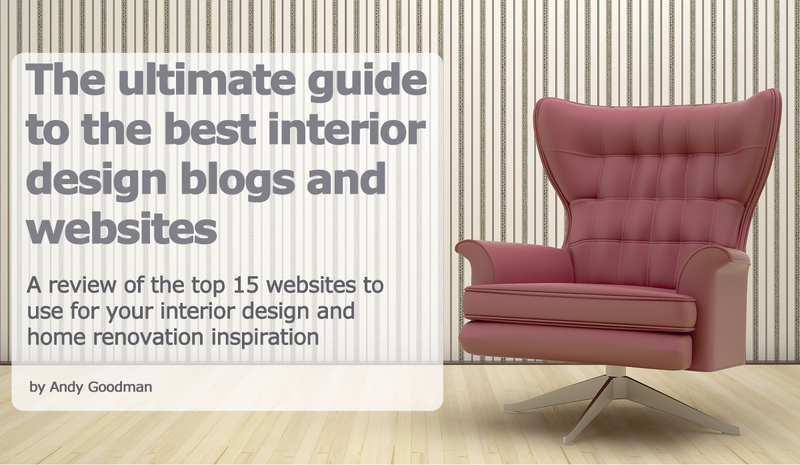 There are many interior design websites out there, so many that choosing our favourite 15 was not easy. So which one of our 15 is your favourite? Let us know in the comments section below. Or perhaps we didn’t include your favourite in our list, if so tell us which site and why, we’d love to hear what you have to think. Also, don’t forget to share with your family, friends and colleagues who may be looking for a little design inspiration for their home. Want more Interior Design Ideas? Just in case 15 sites wasn’t enough we have also included a table below with links to even more sites for you to check out.